December 23, 2012 | Posted by Lee C.
If you are looking for a perfect homemade gift, a new tradition to start with your family, or just a fun project, do it yourself stockings are an easy project to start. The following are a few ideas for fun and festive do it yourself stockings. Don’t be afraid to make your own stocking even though you don’t own a sewing machine. A Fanciful Twist provides a tutorial complete with printable templates on how to make your own no sew stocking. All that is require is a few pieces of felt, hot glue and some pinking shears. You can use whatever you have around the house for decorations. She suggests scrapbooking paper, candies and glitter. Ribbons, buttons and colorful material will work also. This project will only take a few hours and would be fun to do with young children. Burlap can be a unique and homey material to work with. HGTV suggests using old coffee sacks that can be found at a local coffee house or bought online. You can use craft glue to adhere felt decorations. Paint also works well on burlap. HGTV suggests using stencils to paint decorations directly on the stocking. 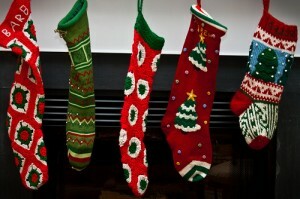 Stockings can be made from old sweaters. Sweaters that have distinct buttons or closures make especially interesting stockings. Better Homes and Gardens offers step by step instructions, a detailed list of needed materials and templates for making your own sweater stocking. This is the perfect use for a favorite sweater that is worn out or just doesn’t fit. A quilted stocking is perfect for the more advanced sewer. If you have experience sewing and quilting this will be a fun holiday project for you. Simplicity provides a free patternfor a quilted stocking. This stocking is composed of four quilt blocks and is a beautiful design. If you are not a quilter, you can still make a quilted stocking. Martha Stewart offers instructions for crafting a stocking from an old quilt or blanket. All you have to do is sew around the edge. Stockings add homemade charm to your holiday decorating. They will be cherished by your family and friends and filled with gifts for years to come. Do you have any homemade stocking ideas? What are your favorite stocking stuffers? December 21, 2012 | Posted by Kay T.
There is often confusion about the difference between a duvet and a comforter. Is there a choice between a duvet and a comforter or must you buy both? While duvets and comforters are both part of the bedding, their uses are slightly different. A comforter is a blanket that is thick, usually with many layers and normally quilted to allow it to breathe and maintain a warm temperature throughout. The most common filling for regular comforters are synthetic fibers, which are sewn between solid or printed fabric sheets. They can be washed completely when dirty and reused. Comforters are often sold as part of a set that can include shams, pillowcases, form fitting and straight sheets. Some sets even include bed skirts and accent pillows. Down comforters are filled with down, which can be quite expensive, and are usually sewn between simple white sheets. For this reason, they are used together with a duvet. A duvet, which actually means comforter in French, serves more like a pillowcase for a down blanket or comforter. The duvet covers the comforter and uses buttons or zippers for closure. There is no need to wash the comforter when the duvet gets dirty, since the blanket underneath is protected. This is particularly useful for down comforters, which cannot be washed with as much ease as the regular, synthetic fiber comforters. Additionally, duvets can provide a way to transform and redecorate a room. Changing duvet covers is easier and less expensive than investing in a whole new comforter set or in a new down comforter. There are three types of people, people who make to-do lists and accomplish them, people who make to-do lists and never look at them and people who never make lists. If you have had trouble sleeping lately, it is possible that your to-do list approach may be hindering your sleep. There are several ways you can tackle a to-do list so that you can rest better at night. People that never make lists often have a lot of information swimming in their heads. 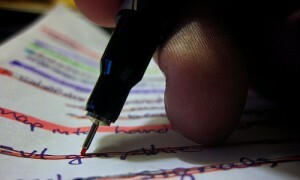 They have found a way to accomplish day to day activities without writing them down, but it may not be without stress. If it happens regularly that you cannot sleep because tomorrow’s tasks are swimming in your head, consider spending a few minutes making a list before you get into bed. Clearing your mind of the responsibility of remembering all of those details may help you fall asleep faster. If you make to-do lists, but lose sleep at night because you never seem to get all the items crossed off, there are a few steps to make accomplishing the list easier. First, consider creating a reward system. For every item you accomplish on the list, take a break for a few minutes, get a cup of coffee, chew on a piece of candy, or check a website that you like – whatever it takes to get you to do the list. Just make sure your rewards don’t take over your day. People also often make their list too long, adding to it each day and never feeling a sense of accomplishment. Be realistic about what you can handle in a day and put only those items on the list. If you get it all done you can always add more. Becky McCray suggests making a list of only the 6 most important things (specific tasks) that need to be accomplished. 6 is a very manageable number. Another suggestion is to tackle the most difficult item on the list first. Then you will not dread it all day and into the night if you manage to continue to avoid it. While it may feel hard to do that one difficult item first, being nervous about it all day will increase your overall stress level, making sleep difficult. To get a better night of rest try a new to-do list strategy. If you have never made one, try writing one before you go to bed tonight. If you are overwhelmed with your list everyday, cut back, do just the essentials, and do the tough stuff first. It may take several adjustments to find the strategy that works for you, but sleeping better at night is worth the effort. What is your to-do list strategy? You may have heard that dust mites cause runny noses, itchy eyes and other allergic reactions, even asthma. But what are these pesky bugs? Where do they live? And, most importantly how do you get rid of them? Dust mites are microscopic pests that, while invisible to the naked eye, are present in almost every home. The mites feed on dead skin cells, of both humans and their pets. They leave behind feces and casings, these are what accumulate in your home as dust and what cause the allergic reactions. While not everyone is allergic to dust mites, those who are exposed to high levels of the allergens can develop the allergy. 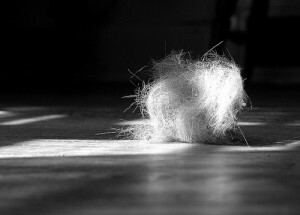 Dust mites are especially active in areas where skin comes in to contact with material frequently, couches, beds, upholstered chairs, pet beds, and carpet all harbor the pesky creatures. According to Environmental, Health and Safety Online,100,000 mites can live on one square yard of carpet. An especially vulnerable place in your home is your mattress. Because you slough a considerable amount of skin while you sleep, and spend a lot of time with your head in close contact to the pillow and mattress, dust mites can abound in your bed and increase your exposure to their harmful allergens. There are a few ways to combat dust mites. The first is to start using a hypoallergenic mattress cover that encases the entire mattress. Next, wash your sheets and pillowcasess at least once a week in water that is 130 – 150 degrees. Washing your bed sheets in cold water and then placing them in the freezer for a couple of days is also effective. Laundering removes the dust mite allergen, while the freezer temperature kills the dust mite itself. It is also important to periodically wash all bedding including the blankets, comforter, and mattress pad in hot water for a thorough cleaning. If you can, keep the temperature in your house less than 70 degrees and the humidity less than 50%. Dust mites love warm, humid places. Air purifiers, those with HEPA filters tend to be more effective and safe, while ozone generators may be hazardous. If your allergy is severe, you may want to consider removing the carpeting in your house. Replacing cloth drapes with wood or vinyl blinds will also give mites less surface area to live on. Wipe down impervious surfaces at least weekly with a damp cloth, so that you do not stir up the dust in the air. Because every home has people living in it, every home will have dust mites. Dust mites are unavoidable, but they can be controlled to healthy levels. Start making adjustments where dust mites are likely to be in the largest concentrations, such as your bed and bedroom, and see if it helps you feel healthier. December 12, 2012 | Posted by Lee C.
If you are not an interior designer, using prints and patterns to decorate your bedroom can be intimidating. If you are tired of the same old solid colors, but you are terrified of choosing the right patterns, there are a few tricks and tips to keep you on the right path. The first thing to remember is that this is your bedroom, and if you like the decor that is all that matters. Choose colors you enjoy, and that make you feel calm and comfortable in your room. Once you have a palette to work with, choosing patterns will be much easier. Next think about the surfaces that could incorporate patterns. Fabric patterns can be used on bedspreads, pillows, window treatments, and upholstery. Walls are also a good medium for patterns, or bold solid colors that accent the patterns. HGTV suggests also using patterns in odd numbers, with at least three different patterns. Make sure the color pattern and style blend. HGTV also suggests paying close attention to the size of the patterns. For example, use one large print, another medium sized print and a small print. Also, vary the type of pattern; if you use one large floral print on your bed, and a small floral print on your window treatments, use medium sized geometric patterns on the pillows. Remember to stick with a style. If you want the room to look sophisticated and formal, use damask prints. Depending on the fabric, floral can swing from formal, to country, to modern. Gingham and checks are also give a country feel. Modern decor incorporates more lines, geometric designs and bold contrast. You can even promote a rustic feel with nature themed prints. Use your gut feelings, if the patterns feel like they fit together, they most likely are within the same style genera. 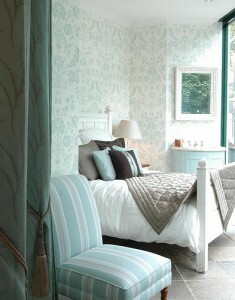 If you choose to use a patterned wallpaper, try using a solid color on the bed. Accent the bedspread with a print throw and patterned pillows. Stripes are also an easy way to bring a pattern to the walls. Chunky stripes are easy to paint and will work well with a floral print or solid color on the bed. In addition to hanging curtains over windows, print fabric can be introduced in other places throughout the room. Hang print material from a rod to cover the wall behind your headboard. This will create a dramatic setting for your bed. If you have a large room, hang fabric to create room dividers. 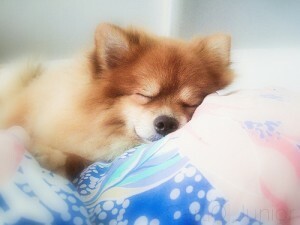 No matter how you decorate your room, remember it is a place for you to relax, unwind and sleep. Decorating with prints will be easy in your room, if you don’t stress about what is fashionable and what everyone else likes. Instead, choose what you like and what makes you feel at home. December 8, 2012 | Posted by Lee C.
Lavender is a flower that is part of the mint family. It has often been marketed as a scent that aids sleep, but do the claims hold up? According to an article in the Wall Street Journal the answer seems to be yes and no. University in which people who were given whiffs of before sleeping had more deep sleep than those given whiffs of distilled water as a placebo. There are a few other small studies mentioned that seem to enforce the idea that lavender improves sleep. The problem, scientist claim, is that no one has studied all of the various methods of use available to know which ones are most effective. 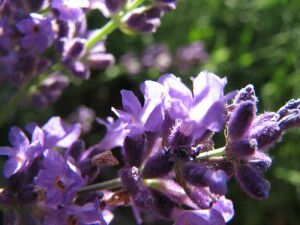 For example, lavender can be found in pillows, night masks, bath oils, soaps, lotions, and more. A study funded by Johnson and Johnson suggests that lavender helps babies sleep better, but psychologists warn that it may be the routine that helps rather then just the scent. It appears that lavender may be the most effective when combined with a bedtime routine. Quoted in the Wall Street Journal article, Meir Kryger, director of research and sleep education at Gaylord Sleep Medicine says that adding a scent to a relaxing routine “has a positive reinforcement aspect to it. The next time you do it, you will feel even more relaxed.” So, when you smell lavender while doing something relaxing, the next time you smell lavender you will feel relaxed because of the association. If you do not suffer from severe insomnia or other sleep disorders, there is no harm in trying lavender to see if it helps improve your sleep. Or, if there is another scent that you already connect with relaxation, try including that in your bedtime routine. It appears the key to sleeping well is repetition. Using all of your senses to prepare for sleep can help your body relax and give you a more quality night of rest. Are there scents you like to include in your bedtime routine? Have you tried lavender? Do you think it works? Come wintertime, one of the most needed items in the bedroom is a comfy, warm pair of slippers. Hardwood floors add even more urgency to this need. Unfortunately, by the time we start noticing our icy cold toes when they hit the floor, as we get out of bed, it is too late to make the pair we are longing for. So, this year, plan ahead. Start now, so when the temperature drops, you will have a pair of slippers that will make your toes proud. If you are experimenting with do it yourself slippers, make a pair for yourself and if they are as comfortable and cozy are you were hopping for, you can make fall gifts for your friends and family. The following are a few do it yourself slipper patterns and ideas for various crafter interests and abilities. For those who love to knit, there are several easy patterns available for making slippers. 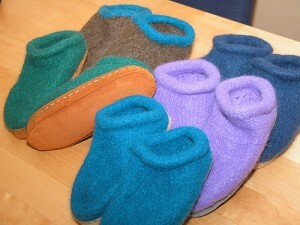 Felting is a very popular way to finish the slippers, making the knitting process fast and forgiving. This is a great project for beginners. Here is an easy, free knitting pattern that includes felting instructions. If you are feeling a little creative or want to knit something fun for kid here is a free pattern for sock monkey slippers. For those that are more advanced, wool socks may be a better challenge. If you are not interested in knitting, there are a few other ways to make cozy slippers. If you have old sweaters that don’t fit or have stains on them, this pattern gives instructions for transforming them into a new pair of slippers. These instructions do require a sewing machine. They also include some crocheting, but the crafty sewer that doesn’t crochet should be able to easily invent some alternatives. Old sweaters can also be felted to make a hardier slipper. This is an easy pattern from Martha Stewart. It only requires a piece of wool felt and some thread. They could also be decorated with some creative embellishments or ribbon. This is another cute pattern for slippers. They require a little more material, but are a little more substantial, and likely to be more comfortable. No matter the method, set aside some time this fall to prepare something cozy for your feet, or your friend’s feet! Getting out of bed on a cold winter morning is sure to be more pleasant when you are sliding your feet into a warm, hand-crafted pair of slippers. December 2, 2012 | Posted by Lee C.
A Sleep Number Bed is the brand air mattress bed made by Select Comfort. There are several other similar air mattress type beds made by other companies. The beds are a series of air chambers with a foam pad on top and enclosed in a cover. Either a single or double chamber can be purchased. The bed is fitted with an air pump that adjusts the firmness of the bed with the touch of a button on an attached control. There are several advantages to this type of bed. First, if your back and joint problems are changing, you can adjust the firmness of the bed until you find a comfortable fit. A shared bed can also be adjusted on each side, if you have a dual chamber bed. 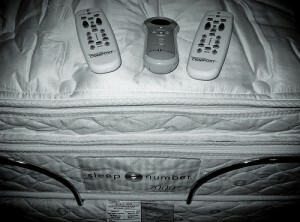 This will allow partners to share a bed, and each be satisfied with the level of firmness. The separate chambers also eliminate disturbances made by a partner’s motion. While, these advantages may seem appealing, there are many areas of concern that need to be addressed before purchasing an air mattress type bed. Many customer ratings websites, including Consumer Affairs, contain complaints siting mold, loss of air and poor costumer service. Because the plastic used to create the air chambers traps moisture, the air bed has potential to be a breeding ground for dangerous mold. Select Comfort claims that as of 2005 the product is made to be mold resistant, however there still seem to be some customer complaints of mold. It is also possible for the air chambers to spring small leaks and lose air and therefore shape over time. Many complaints included experiencing a dip in the center after a few years of use. Other complaints report that the company was slow to replace or repair the mattress when a problem arose. If you decide to purchase an air mattress, there are a few precautions you can take to ensure the best possible experience with your product. First, make sure the company guarantees against mold and note how they will carry out that guarantee if mold is found. Also, make sure you are aware of any return processes in the event that you are unsatisfied with the bed. Know how much time you have to make a return, and if you will need to pay any shipping or processing fees. Last, be aware of any other product guarantees. Find out the expected life span of the mattress, how any worn or damaged pieces be can replaced and who pays the bill (you or the company). An air mattress has the potential to be a comfortable bed, as long as you are a wise buyer!